a solar light program intended to improve nighttime navigation around the lake. 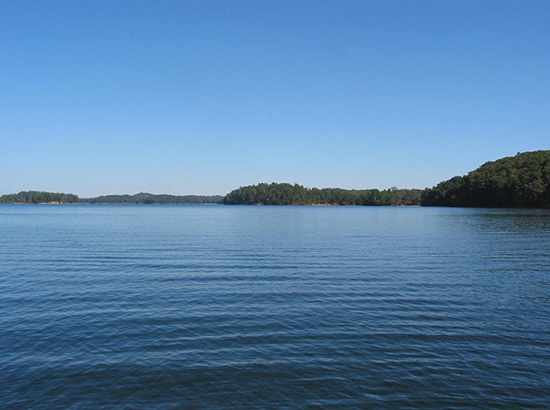 Lake Lanier has over 690 miles of shoreline and over a 100 beach-trimmed islands. In many places where water meets the land, there are hazards just under the surface. While standard navigation signs mark hazardous areas, boaters should be watchful for submerged stumps logs, rock and shallow water. Because hazardous area markers can be difficult to see after dark, in 2013 LLA initiated a project to install solar lights on the tops of the markers. To fund and coordinate the installation of all the lights that would be needed, LLA started the Solar Light sponsorship. The initiative has been very successful in getting solar lights installed on navigation hazard markers, greatly aiding safe nighttime navigation. Social groups, civic groups, or individuals can sponsor new lights on Lake Sidney Lanier. This is a great way to honor the legacy of a loved one, or even a great way to honor someone special. The sponsorship fee of $250 covers the purchase, installation, and ongoing maintenance of the light. currently installed on hazard markers around the lake. It's easy to sponsor a light. Just fill out the requested info and make your payment online. We are collecting community feedback on the solar lights. Please complete and submit our short survey.